and some more of this bad stuff. This is a dropper that claims to be the new CryptoLocker 3.0. Even if in the available analysis (http://www.bleepingcomputer.com/forums/ ... eo-gamers/ or http://labs.bromium.com/2015/03/12/achi ... eo-gamers/), and the dropper itself, speak about an asymmetric RSA-2048 encryption, I can assure you all that the file encryption is a SYMMETRIC AES256 encryption. 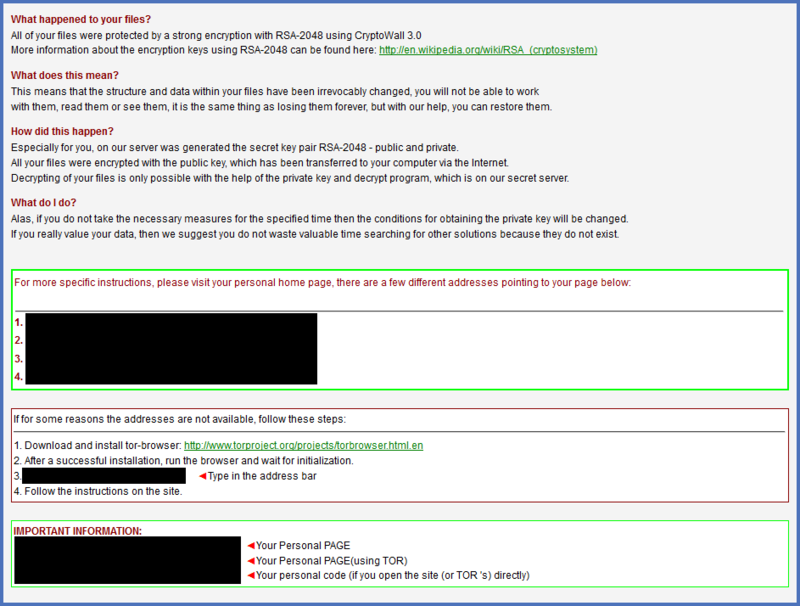 Probable Cryptowall 3.0 sample attached, can't check thoroughly myself right now. I was thinking this may be TeslaCrypt. Very interesting, tested on my side on Win 7 32b with VMware. Here is unpacked. Have no idea what is it, since I don't follow modern cryptolockers, but code seems readable. This is teslacrypt. Notice the version number in the GUI title and game extensions. Yup, to confirm I just installed and its TeslaCrypt. Not sure why you saw the CW 3.0 screen. That's strange.